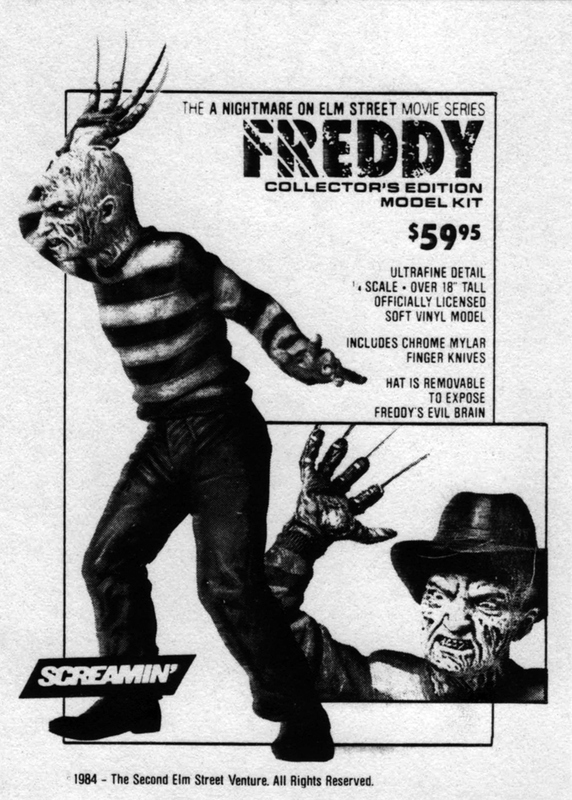 Freddy Krueger’s popularity soared in the late ‘80s and New Line Cinema pushed their promotion efforts on all merchandising fronts. 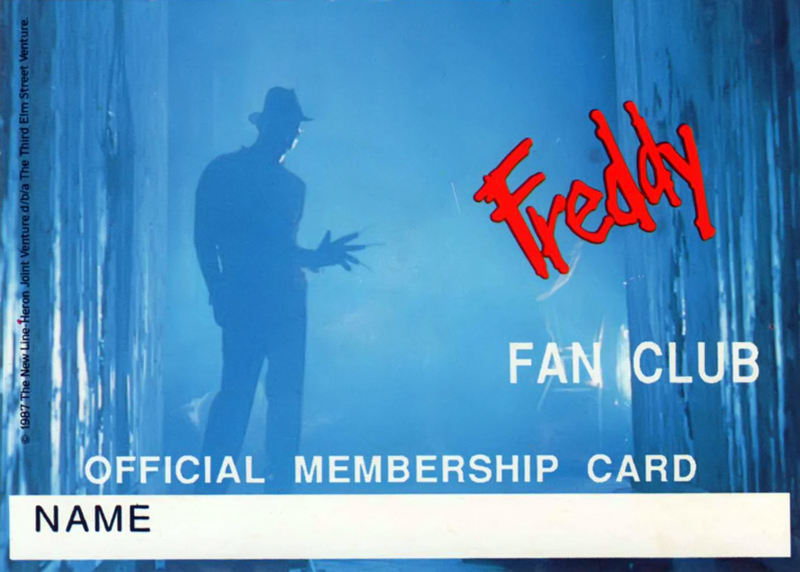 Enter: The Freddy Fan Club! 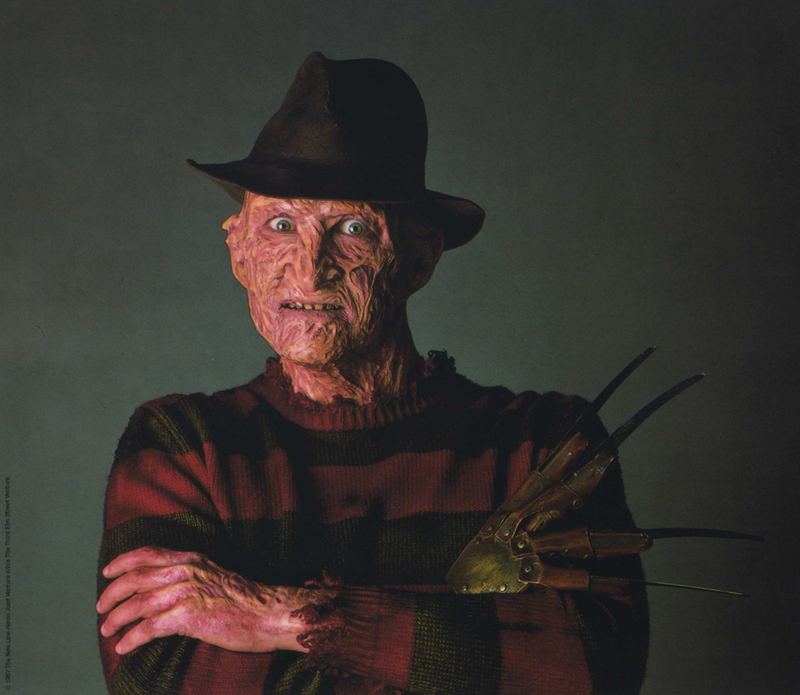 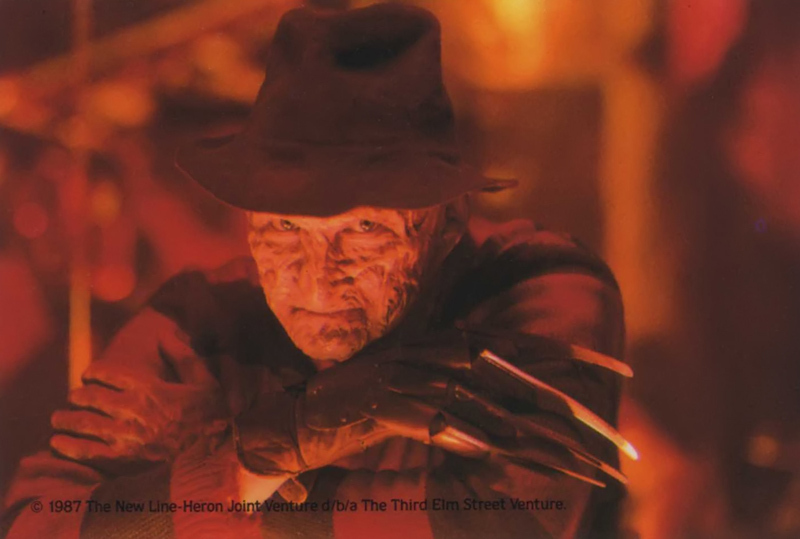 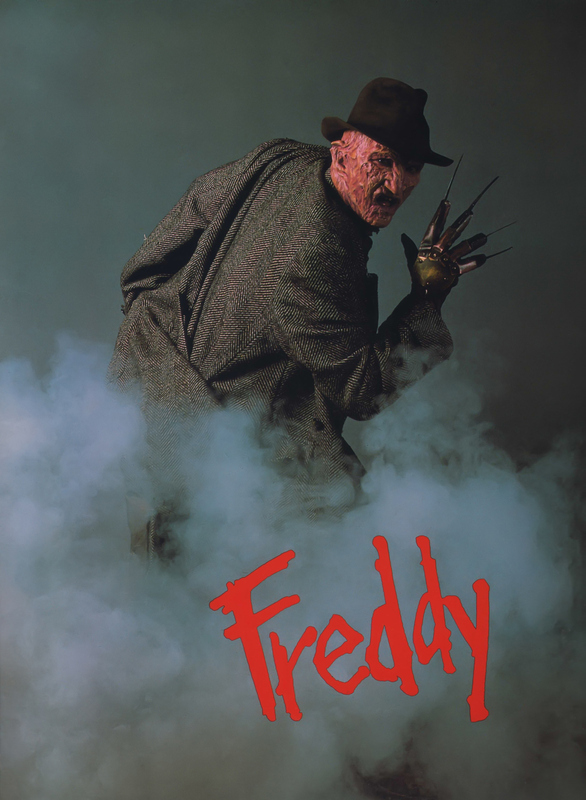 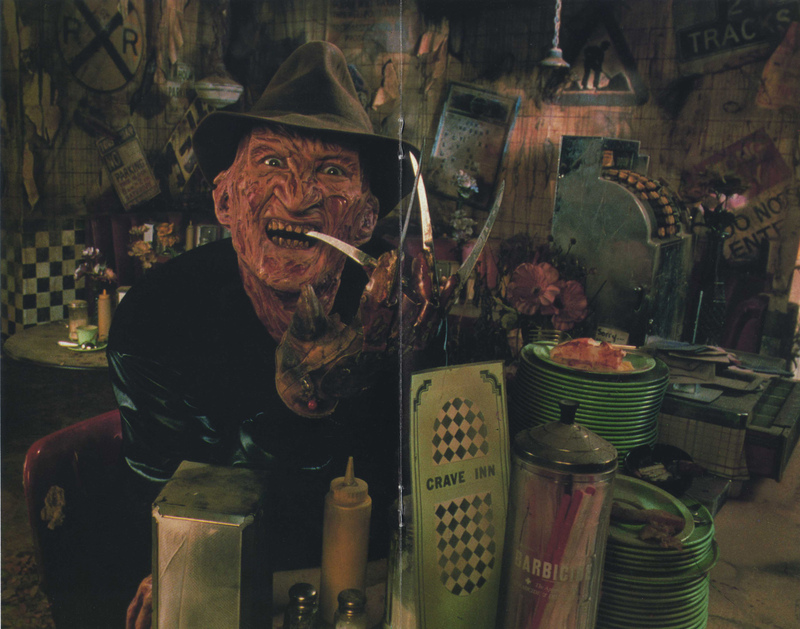 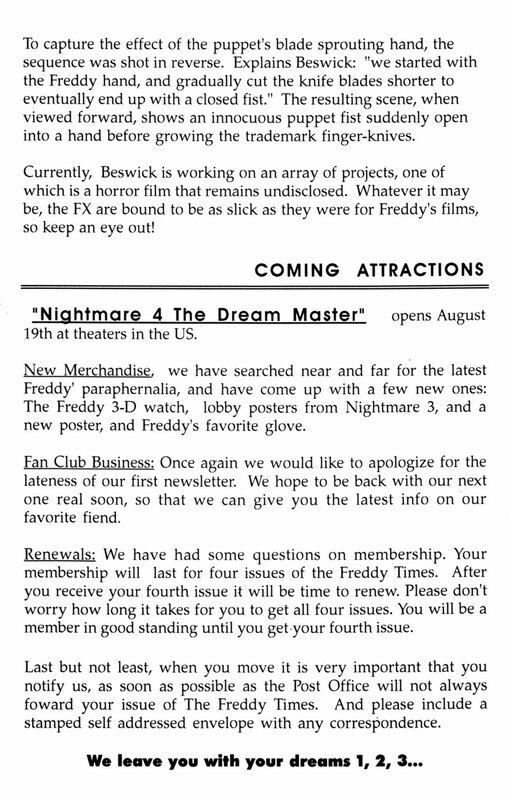 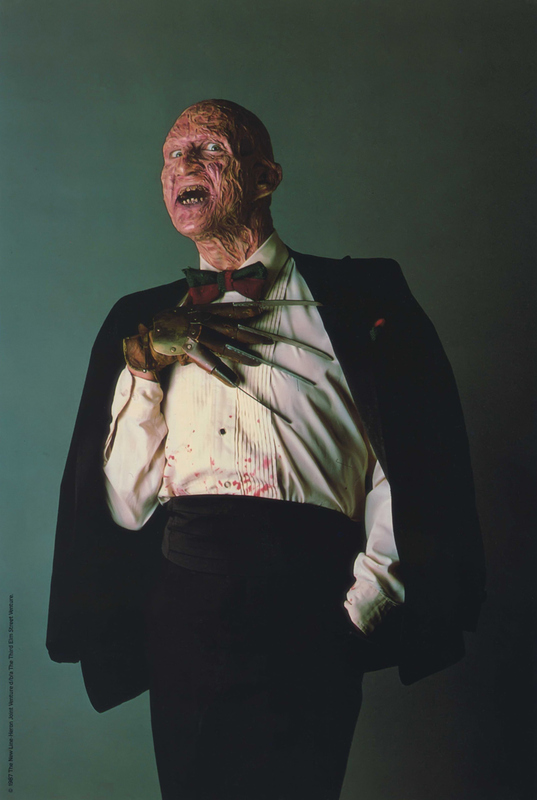 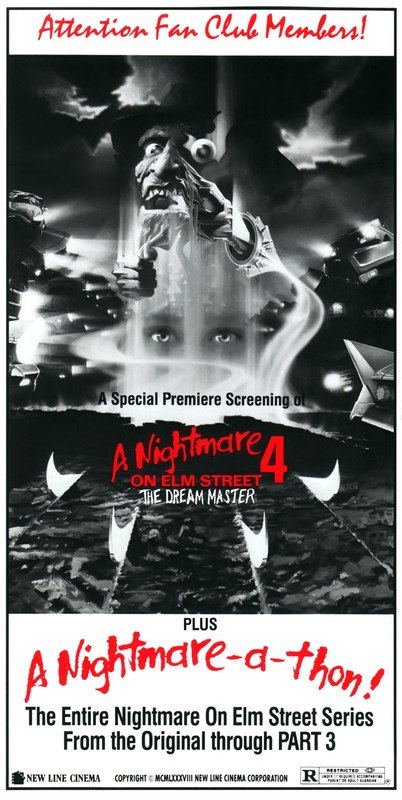 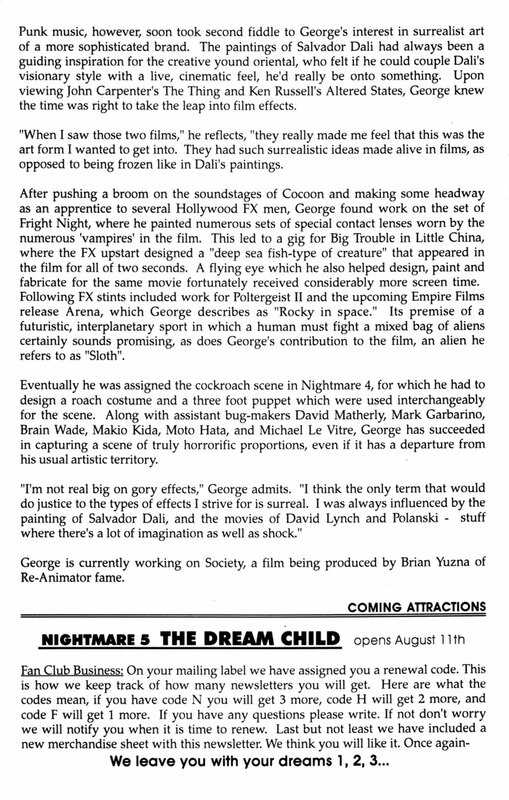 This short-lived club began in 1988 and provided fans with a collection of printed materials showcasing Freddy Krueger and promoting the then-upcoming A Nightmare on Elm Street 4: The Dream Master. 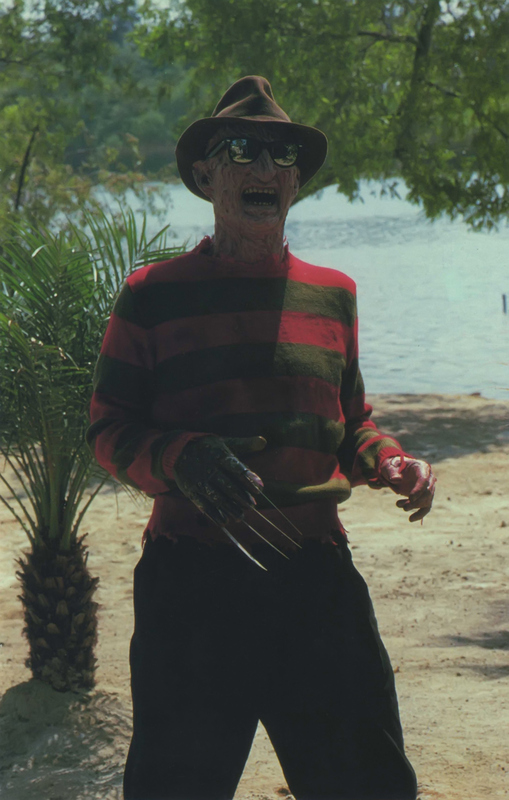 Freddy: “Welcome to the nightmare that never ends. 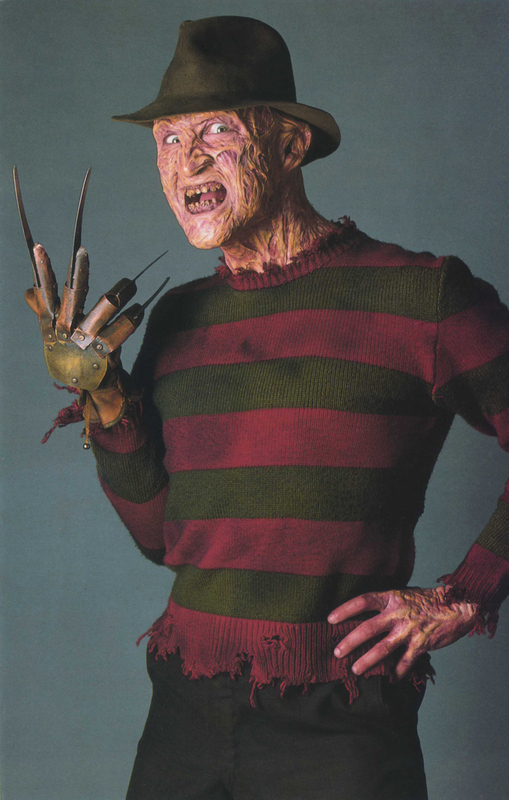 You are now an official member of the Freddy Krueger Fan Club. 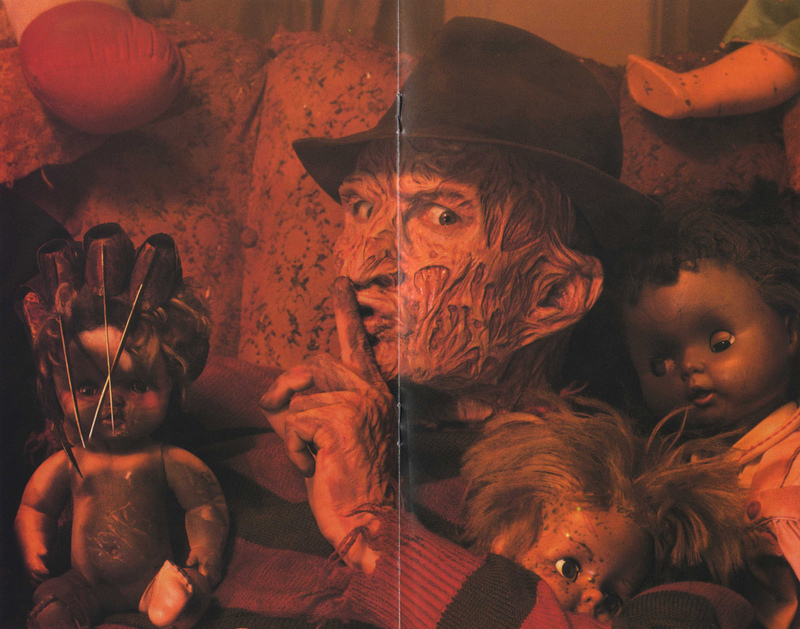 Free to create havoc and mayhem in your own mind. 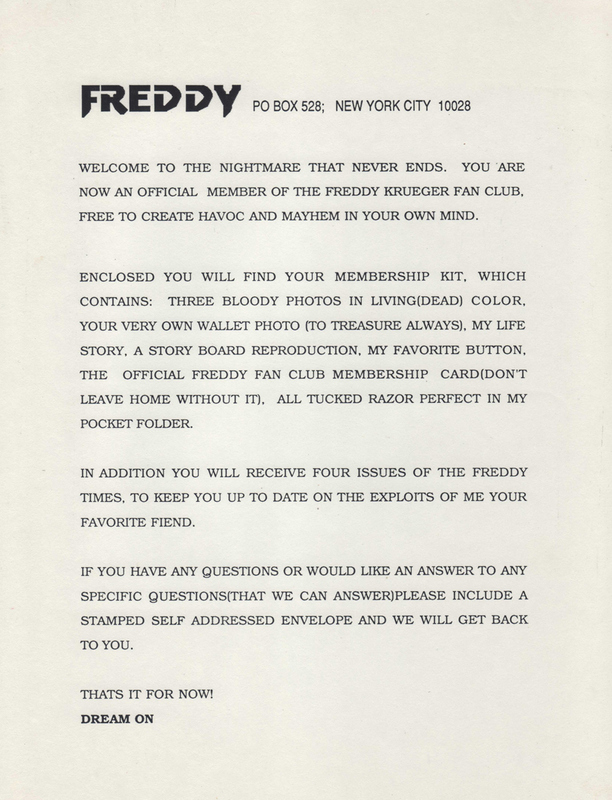 Enclosed you will find your membership kit, which contains: Three bloody photos in living (dead) color, your very own wallet photo (to treasure always), my life story, a story board reproduction, the official Freddy Fan Club membership card (don’t leave home without it), all tucked razor perfect in my pocket folder. 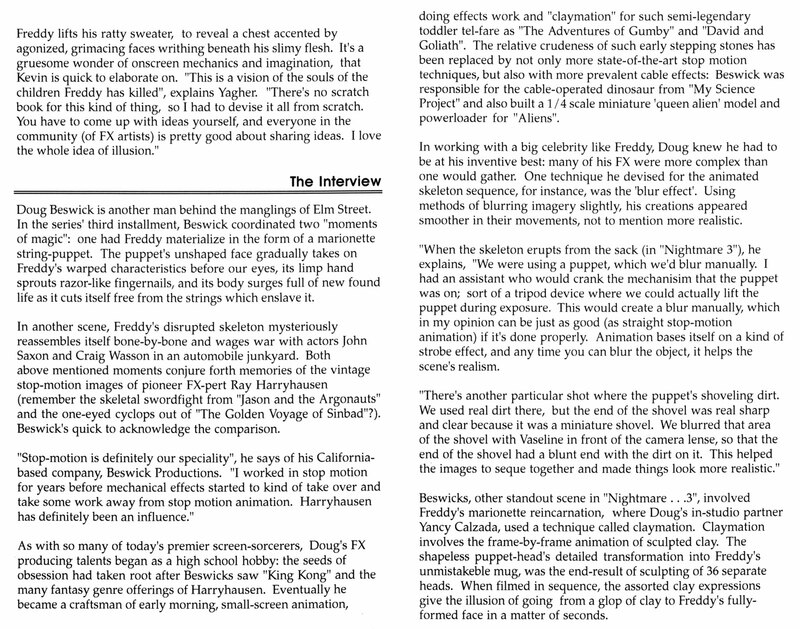 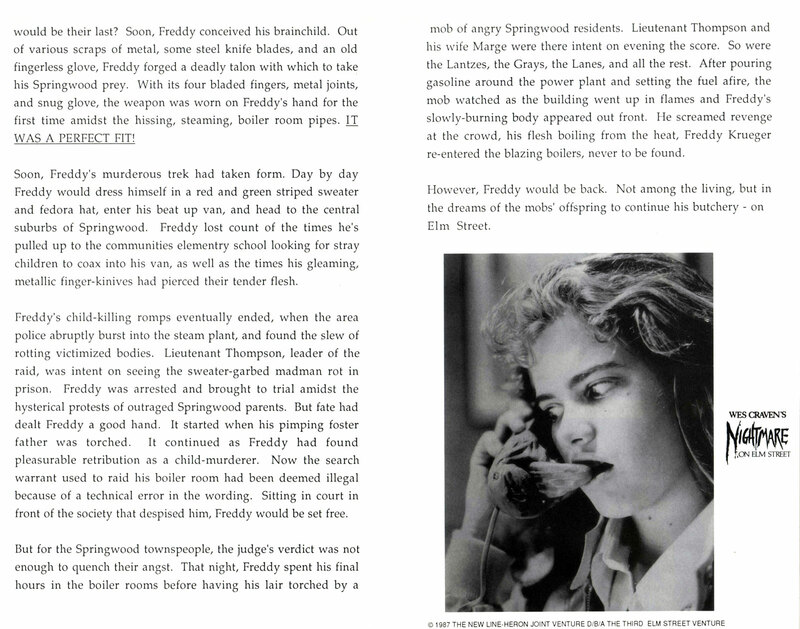 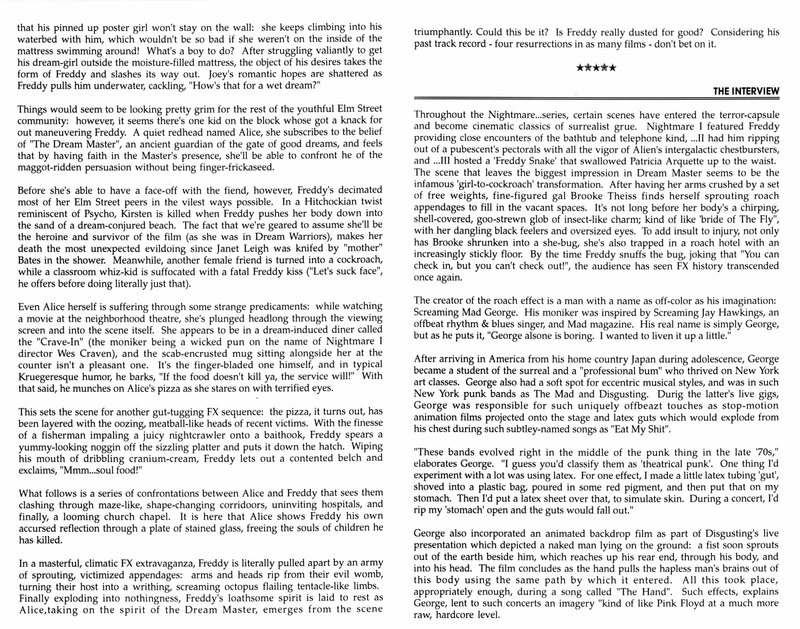 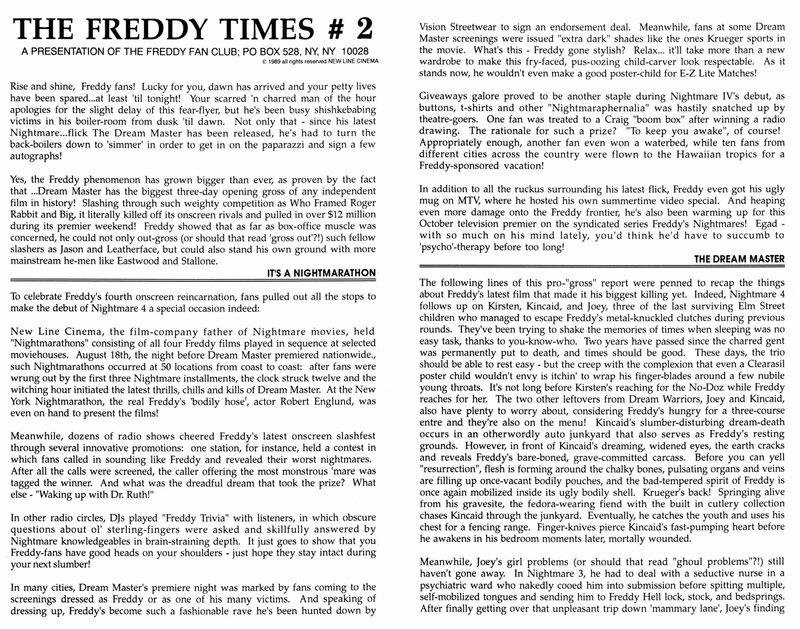 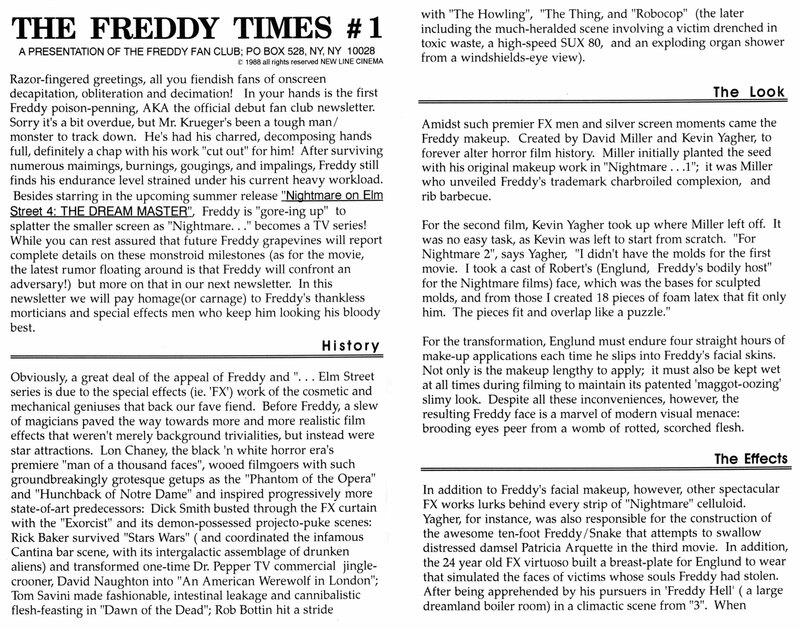 View the images below to read the Freddy Times! 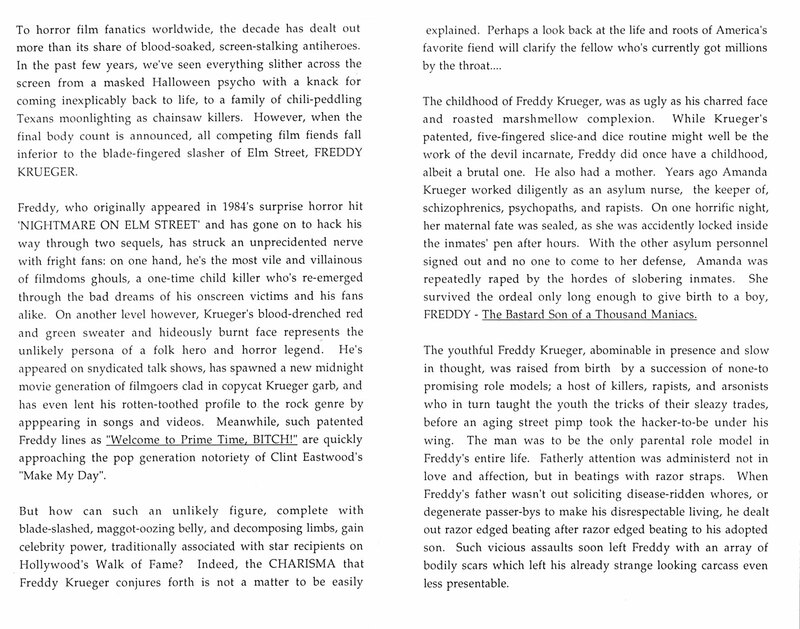 The PDF version can be accessed here. 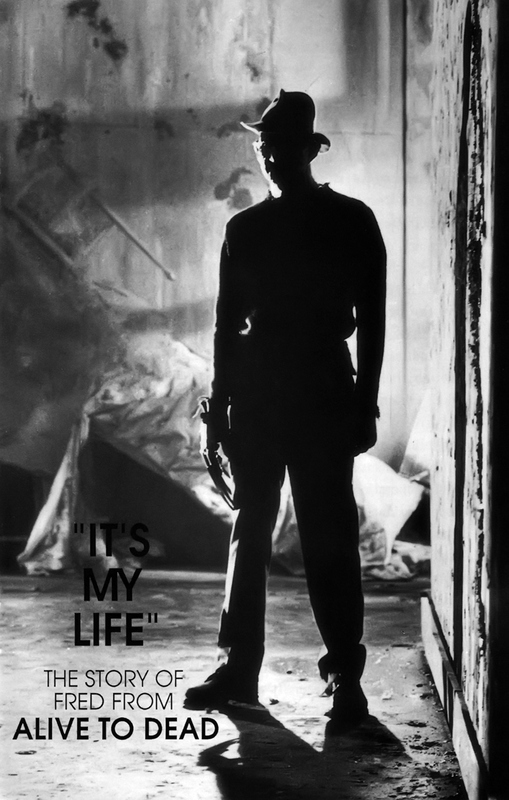 View the images below to read “It’s My Life”! 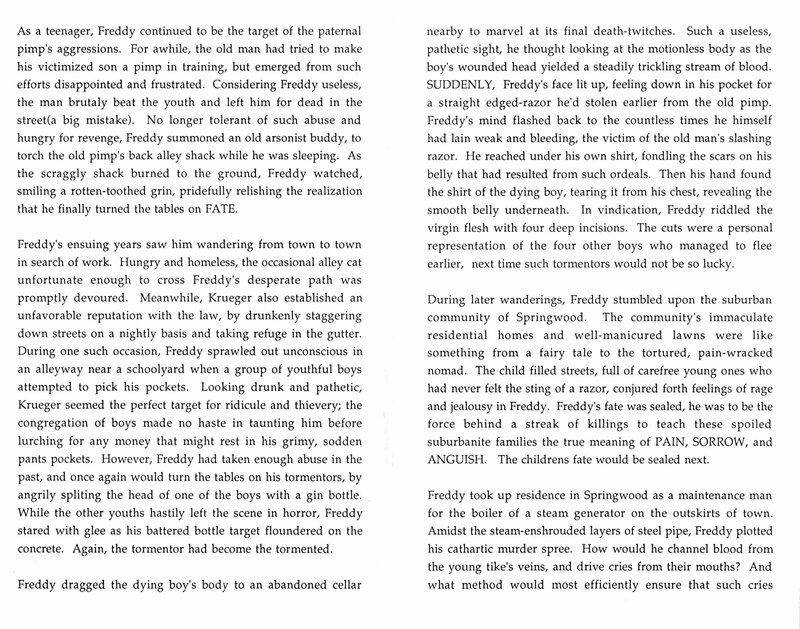 The PDF version can be accessed here. 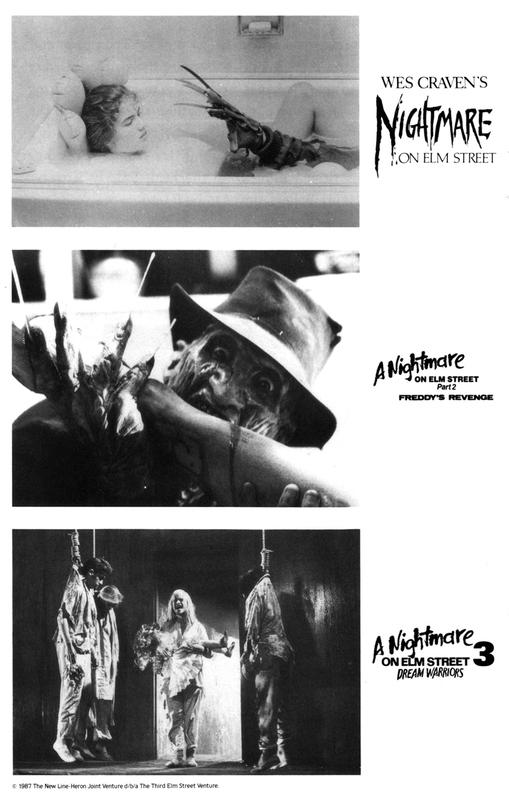 Select materials courtesy of Rob Nimmo.